An elegant single-sided or double-sided graphic wall. This display stand is perfect for a large presence or back-drop and feels right at home in car showrooms. 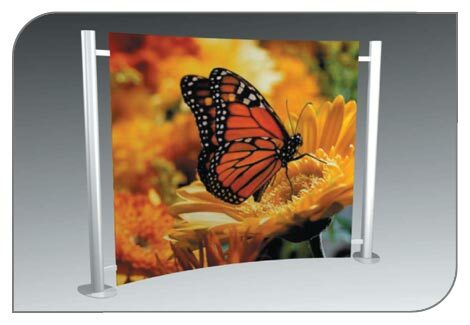 The outer poles lend the display to any number of additions including brochure holders, wings, plinths, and even flash-card monitors.